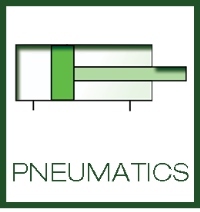 PNEUMATE-200 - Your mate in Pneumatics! This didactic equipment is comprised of a panel with pneumatic and/or electro-pneumatic components depending on the option selected. The panel is printed with the standardized symbols of each of the components for easy identification. Furthermore, both the pneumatic and electro-pneumatic components come with rapid connections to speed up the practical exercises undertaken with the equipment. PNEUMATE-200 also includes the necessary complements such as pneumatic tubing, tube cutter, tube extractor, fitting, plugs, connection cables and mains plug. Its interchangeable accessories (feeder-stamper, sliding door and ends of stroke) allows the user to start up examples of real applications using these technologies. • Self-learning course with 163 slides. - 3D simulation of all components. • OPTION A: Equipment for training in basic pneumatics (without case). • OPTION B: Basic pneumatics and electro-pneumatics training equipment (without case). • OPTION C: Advanced pneumatics and electro-pneumatics training equipment (without case). 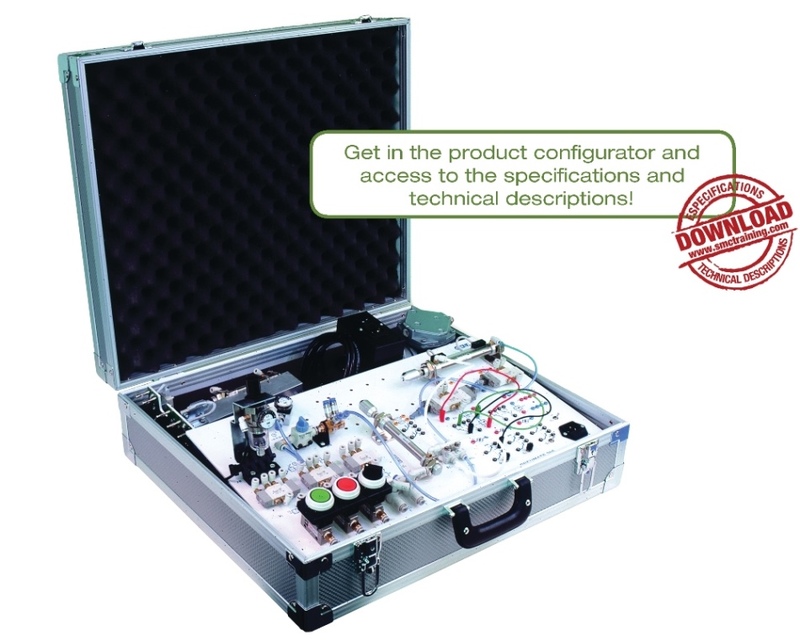 • OPTION D: Advanced pneumatics and electro-pneumatics training equipment (with case). • OPTION E: Equipment similar to option D, but supplied with a series of components required to enable cascade control(with case). Common elements in all options: panel with components and screen printed symbols, components with connectors for 4mm tube, complete set of documentation with multimedia CD-ROM and Set of extras: 4mm pneumatic tube, tube-cutter, tube extractor, set of connectors and caps.